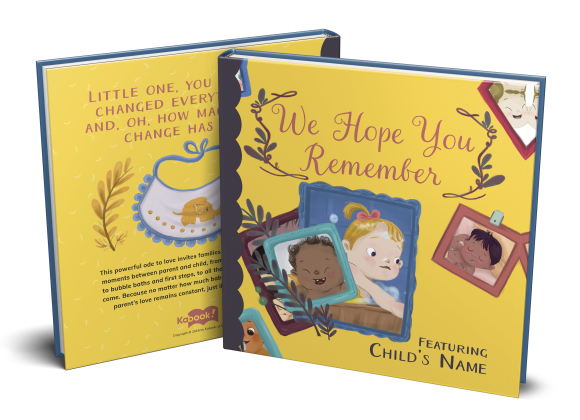 We Hope You Remember | Custom Children's Book | Kabook! Little one, you came along and changed everything. This powerful ode to love invites families to celebrate the special moments between parent and child, from hiccups and snuggles to bubble baths and first steps, and all the wondrous times yet to come. A distinctive, one-of-a-kind baby gift. Answer a couple questions, upload a photo, and give a gift that mom and dad will cherish.